The constellation Pictor. Roll mouse over to see labels. Pictor is a faint southern constellation which appears highest in the evening sky in the months around December. 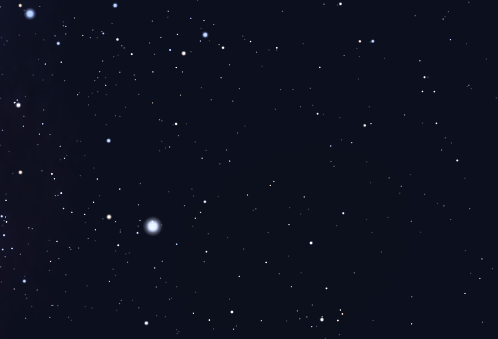 It contains few objects of note: only one star brighter than fourth magnitude, and no deep sky objects brighter than twelfth magnitude. The name ‘Pictor’ was given to this sky area by Nicolas Louis de Lacaille in 1756. It is a contraction of the Latin ‘Equuleus Pictorius’, meaning ‘the easel and palette’. 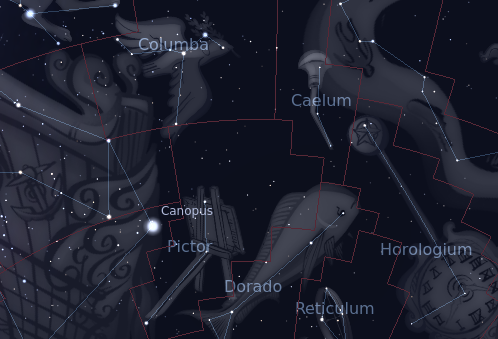 The following constellations neighbor Pictor: Caelum, Carina, Columba, Dorado, Puppis, Volans.